Eleanor Oliphant is Completely Fine is the debut novel from Scottish author Gayle Honeyman. Since it’s publication in May 2017 it won The Costa Book Award for Best First Novel and has become a Sunday Times Bestseller. The film rights of Eleanor Oliphant is Completely Fine have also been optioned to Reece Witherspoon’s company, Hello Sunshine. The title says it all, Eleanor Oliphant really is completely fine. She has a secure job in a place she’s comfortable; she has a home she has lived alone in for years; she knows exactly what she is going to eat and when; she is absolutely fine. She may down a couple of bottles of vodka every weekend but that’s fine too. One day her carefully created routine is upset by a colleague, Raymond from IT, who asks for her help when an old man collapses in the street. Against her wishes, she accompanies the men to the hospital and this small act starts a chain reaction that forces her to realise that there’s much more to life than just being fine. There are a number of fiction titles on the market at the moment that deal with loneliness and mental illness but I can safely say that Eleanor Oliphant is Completely Fine is up there with the best of them. The reasons behind Eleanor’s isolation are slowly unravelled throughout the book and are so logical and painfully understandable that it’s impossible not to feel for her. I did become briefly nervous that this novel would involve love ‘fixing’ everything (a pet hate of mine) but I dreadfully underestimated Gail Honeyman. The relationships she creates are not what you may predict and are all the more wonderful because of it. 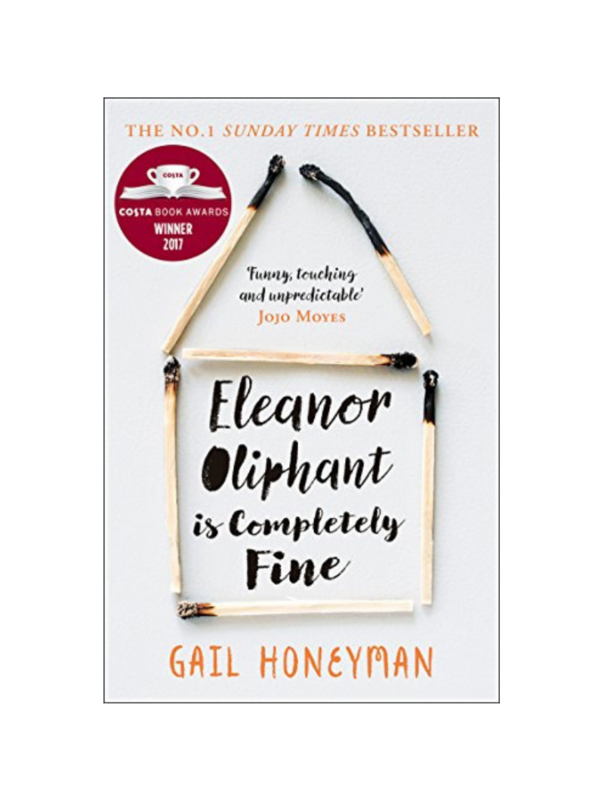 Eleanor Olphant is Compleyely Fine by Gail Honeyman is packed full of wonderful characters that make it a pleasure to read and perfect for book group discussions. Gail is blessed with a style of writing that is so easy to read that flows so wonderfully you get the impression it took no effort at all. This is uplifting escapism at its finest. Charming, funny and easily devoured this book is perfect for fans of The Unlikely Pilgrimage of Harold Fry by Rachel Joyce. With this as a debut, Gail Honeyman is definitely an author I’ll eagerly anticipate more from.